Born in Kiel. A native of the Schleswig-Holstein branch of the Bunsow family, which there turned into a famous family of artists. His father was Kiel artist Joachim Johann Friedrich Bunsou (1789-1873). Until 1846, he worked for the bookseller Adolf Bonnie in Stockholm. Uncle Frederick H.F. The bed was a timber merchant in Sundsvall. After Frederick successfully settled his uncle’s conflict with Dutch wood importers, displaying the businessman’s remarkable abilities, his uncle hired him, and a year later, when his uncle died, the whole company fell into the hands of his nephew. Being a visionary businessman, Bunsou began to acquire vast forests in Jämtland and Medelpeda. He later expanded his empire and built a steam sawmill, which soon became one of the largest. 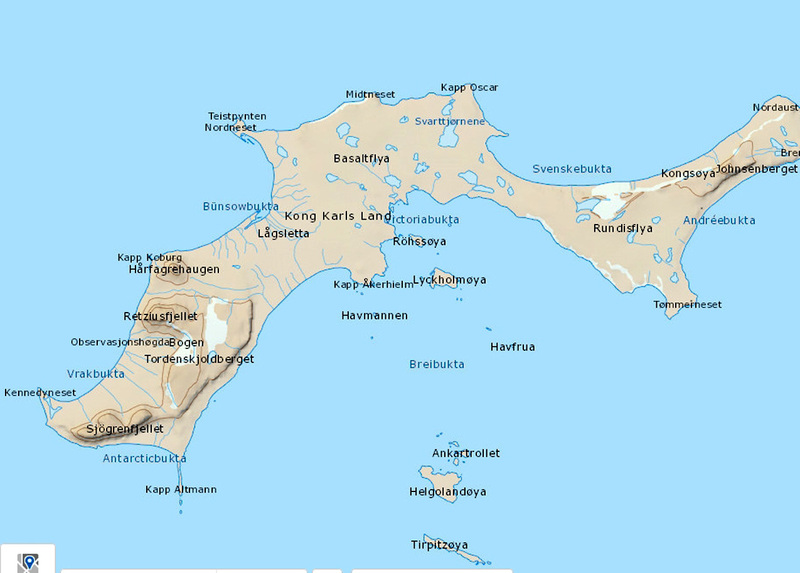 In 1889, the company, which is a joint-stock limited liability company, had a registered capital of 19,600,000 SEK and owned forests with a total area of 300,000 hectares. After his death, with a fortune of 420 million crowns, he was the second most wealthy Swede after A. Nobel. Buhnsou actively participated in the city life of Sundsvall, was actively involved in urban politics and provided financial support to various cultural institutions. He was known as one of the "sawmill magnates" especially after the great Sundsvall city fire in 1888. 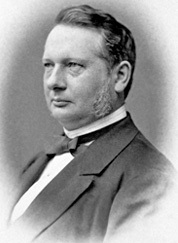 With the financial support of Bunsou, several museums were created, and the zoology department at Uppsala University also received his serious donations. The contribution of Bunsow to the organization in 1896 of the expedition to Svalbard under the leadership of Gerxard Jacob De Geer is great. He died in Timra, buried in Stockholm in the cemetery Norra begravningsplatsen. 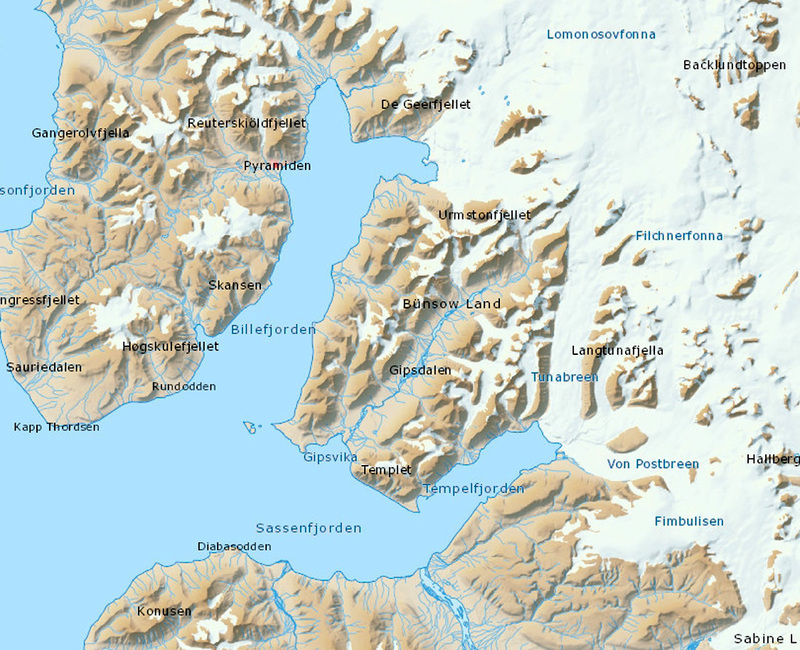 The peninsula is in the inner part of the Is Fjord between Billefjord and Tempel Fjord, about Spitsbergen. The coordinates are 78° 30'N 16° 30'E. Bay in the north-west of the land of King Charles, Spitsbergen. The coordinates are 78° 56.0'N 28° 19.0'E.